How come they always go after the AR-15? The overwhelming majority of shootings are done with pistols. 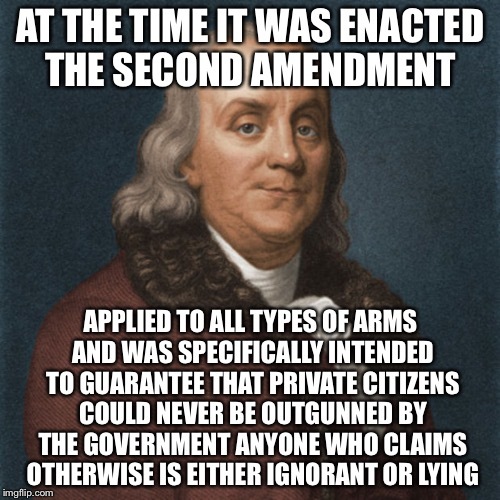 So if you ban the AR-15 the number of people shooting each other with glocks or whatever will go down? Sounds like nonsense to me. So is this guy in bed with the company that makes ar-15's? Wouldn't be surprising if he is. 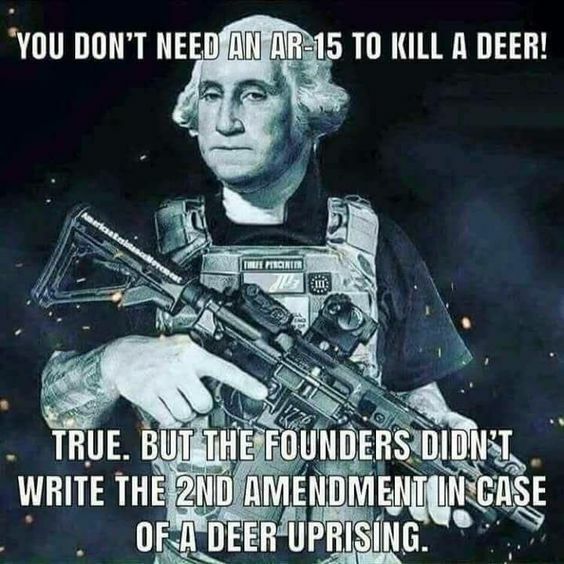 There are very few gun companies left still 'Murican made. The Democrats wanted to do something about Chinese currency manipulation which caused all our factories to close down but the Republicans blocked the Democrats on every vote. The Chinese have pegged the Yuan 6 to 1 to the dollar. The American worker just can't compete with cheap artificially low Chinese labor. Because they want Beto and his ilk security teams better armed than we the people. Hahaha..., Did he say that?.... He lost already. Nothing drives up gun sales like a Democrat threatening to strip away your rights. 1) They have no real understanding of the issue, but just parrot whatever sounds good. Rifles of ANY KIND kill less than 300 people a year. This is out of 33,000 deaths a year by guns, including suicides. AR-15s are black and scary, so for someone with low IQ, they seriously believe banning the "scary" gun will stop gun violence. They also don't understand that the AR-15 or any kind of "assault styled rifle" is merely a design that functions well. In addition, the reason the guns are so popular is marketing. Consumers like "tacticool" and "pro-sumer" products that mimic the real thing, but are generally far from it. It is like how you can buy DSLR cameras, sports cars, and other products that make the consumer feel like they are getting what the pros use even though they arent. In summary, it is pure ignorance.